Glenn Przyborski Glenn Przyborski has directed and photographed TV commercials since ’71, but he’s been shooting movie film most of his life. Joseph Przyborski, Glenn’s dad was one of the original motion picture cameramen employed to document the numerous USAF and NASA missile launches from Cape Canaveral. When you see historic footage of rockets exploding, there’s a chance Glenn’s dad (who passed away in 2003) shot the film. Like father, like son, Glenn was always interested in making movies. Growing up in Central Florida, Przyborski won second place in the 1966 Eastman Kodak Teenage Movie Awards. The prize was Kodak movie film, $150, and a few seconds of his entry was shown on NBC’s Today Show. As a high school senior, Glenn landed a part-time job shooting 35mm commercials that ran between feature films in Florida’s General Cinema and Kent theater chains. Glenn graduated from the University of Florida, Gainesville in 1971. In ’75, Przyborski co-founded Hartwick/Przyborski Productions. This successful Pittsburgh based company produced numerous commercial projects for ad agencies and clients throughout the country. Hartwick-Przyborski was featured in national magazines as New York based agencies were being forced to look for cost effective, quality alternatives to traditional New York or L.A. production. At one time, the company had offices in New York, Chicago, as well as Pittsburgh. 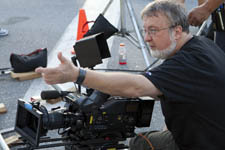 In ’86 and ’87, Przyborski was a director-cinematographer at West Hills Studios. This large facility located near the Pittsburgh International Airport, supplied the studios for several feature films. In addition to his commercial work, Przyborski directed and photographed a nationally televised TV special with the United States Air Force Thunderbirds. In late 1988, Przyborski teamed up with his friend, producer, and business partner, Jim DeVincentis to form Przyborski Productions. This successful business produces high-definition TV commercials and WEB content. Przyborski’s work has earned numerous national advertising awards including dozens of Telly’s, Addy’s, Emmy’s and many regional “Best of Shows”. Estimates are that Glenn’s exposed over 2 million feet of 35mm color negative. He’s one of the few director-cinematographers who’s equally at home shooting live action and food/tabletop spots. His years of photographic experience give him the ability to dramatically alter his shooting, lighting and production style to enhance a commercial’s concept. Depending on the project and budget, Glenn’s crews vary from 6 to 26 people. He’s often called upon to edit the spots he shoots. Glenn Przyborski is an experienced, multi-engine, instrument pilot who resides in Pittsburgh with his wife Carol. Their son, John is a graduate of Allegheny College and Carnegie Mellon University. Daughter, Lisa graduated from Ohio University. Glenn’s other interests include bicycling and still photography. 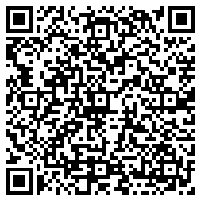 You can email Glenn at glennp@przyborski.com or use this QR code V-Card to easily add Glenn to your smart phone. The site looks great Glenn. I have some stills on my site if you are interested. I borrowed a buddy’s Nikon scanner since they were almost all Kodachrome. I tried to update the site so it was flash optional, for you iPhone users, but haven’t quite got that figured out yet.